The Active Fun Academy (AFA) is an Anytime-Anywhere Co-Scholastic Program designed specifically to enhance at-home physical activity of urban Indian children. The digital video content is developed specifically for students from pre-nursery to Class XII. 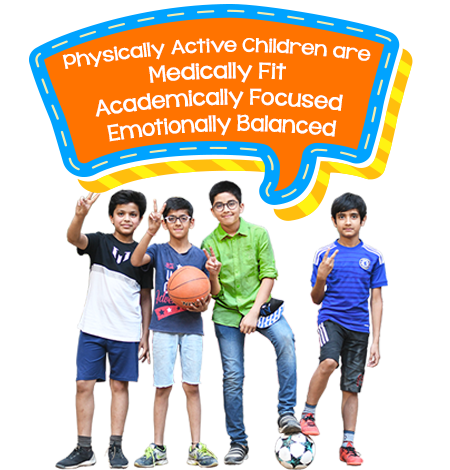 AFA’s goal is to inspire and motivate children to become physically active through attractive & engaging ‘FunSports’ designed by leading researchers. If you are an Individual, quickly GET STARTED with AFA and start your ‘FunSports’ skill training right now. Schools implement AFA as a coscholastic "at home" fun fitness activity program that students complete every week and compete against their peers and classmates to receive gifts, certificates and year end Annual FunSports Report Card. All School programs are run and managed by AFA crew with no additional effort from schools. Take a look at AFA’s innovative features. Presenting a revolutionary way to have fun while developing new skills and healthy habits! 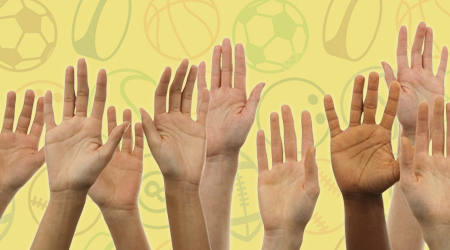 Active Fun Academy’s ‘FunSports’ Curriculum is designed after extensive research by P.E. Experts catering to the overall development of a child at each step of their growing years. Children in today’s world aren’t exposed to the full range of motor skills & physical activity when on their own. 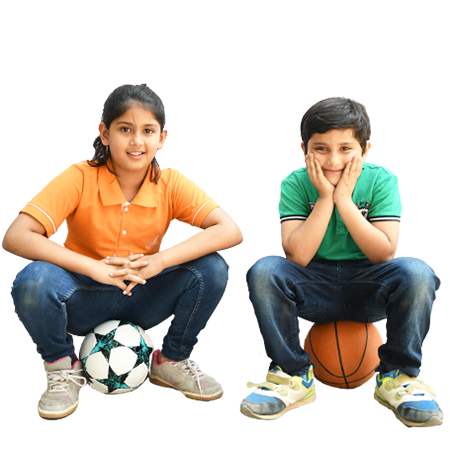 ‘FunSports’ Curriculum consists of 26 Co Scholastic ‘FunSports’ Activities for EACH class from Nursery to Class 12, which exposes them to various movements necessary for a child’s physical growth and development according to his/her age group. 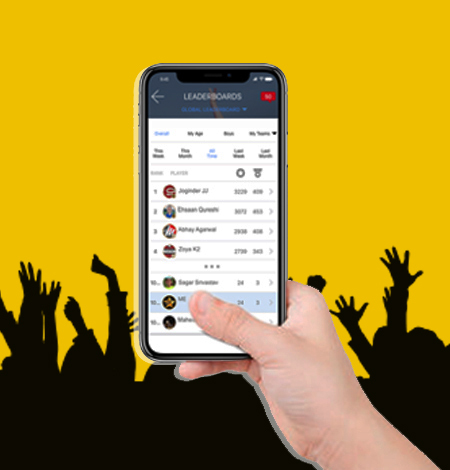 All the skills and activities uploaded by the users are overlooked and verified by an expert virtual coach who provides constructive feedback to the user on how to progress further. Young children are not specialist, they are all-rounders. They are curious about the diversity life has to offer and need a broad base of experiences for a holistic development. It is the role of a coach/teacher/parent to guide them through the proper steps that help and influence the course of their children’s development. 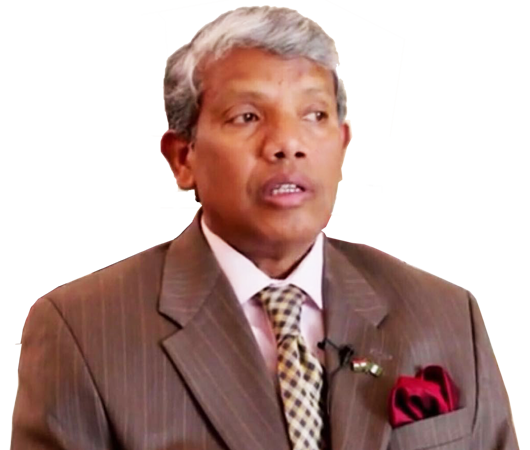 An expert virtual coach, who is well versed with what is correct for the proper development of a child, is a necessary component for his growth. Students receive Encouragement, Advice, Recommendation and Score upon submission of response videos from Virtual Coaches. Feeling creative? 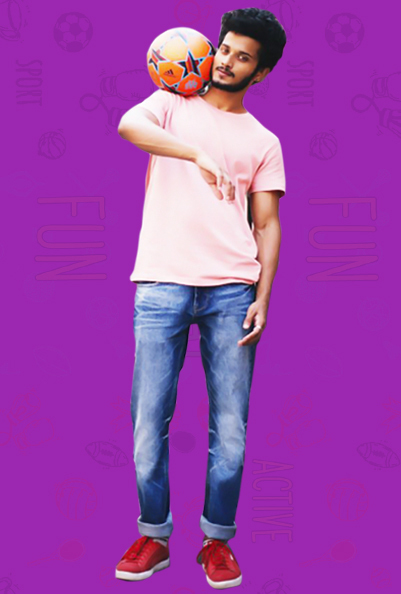 Invent your own moves and show them off with Freestyle Challenges! Challenge other Students from all over the world and compete under the required time to determine the winner. Apart from the basic movements and activities necessary for the development of the child, children must be encouraged to experiment and practice various physical skills using their own imagination. This feature of TopYa app will help the child to be more creative as he grows up, which in turn will help in the cognitive development of the child to a great extent. Active Fun Academy Curriculum allows 1 Freestyle activity per skill path for students to show their creativity. Students can share their best Freestyle Challenge videos with fans, friends, and family using Highlights on TopYa! 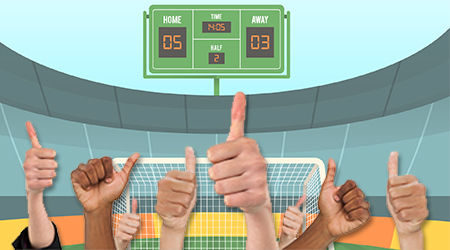 Active Fun Academy introduces the concept of gamification among children by providing a real time leaderboard, which displays ranks of all the players according to the points scored. This motivates the players to compete in real time and be more physically active. Follow your friends and inspiration with this unique feature so to be updated with their latest videos and activities. 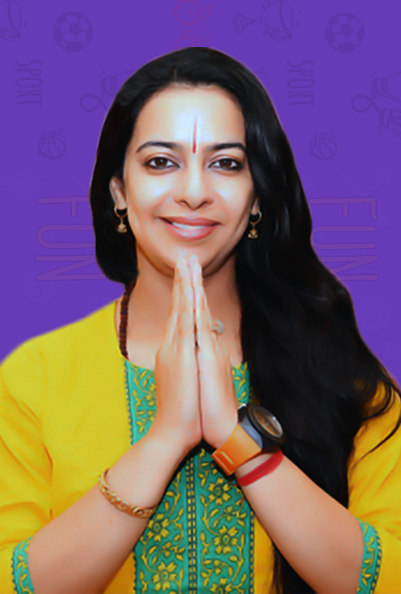 Complete various activities to increase your level and also your fan base. Show the TopYa world what you are capable of! Students from all over the world compete in challenges thrown by one another. Players and Parents join in the fun to vote for their favourite player, hence celebrating the joy of accomplishment along with the players! This unique feature allows players to archive all their completed challenges and keep them safe in an archived memory lane. After all, you need to have something to remind and motivate yourself of how far you have made in the journey. The basic purpose of a report card is to inform a child’s parents of his or her academic progress during the academic year. 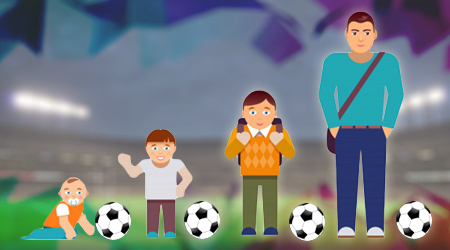 AFA Activity Report card provides information on the progress the child has made on the AFA FunSports Curriculum, assigned to him during an academic year. 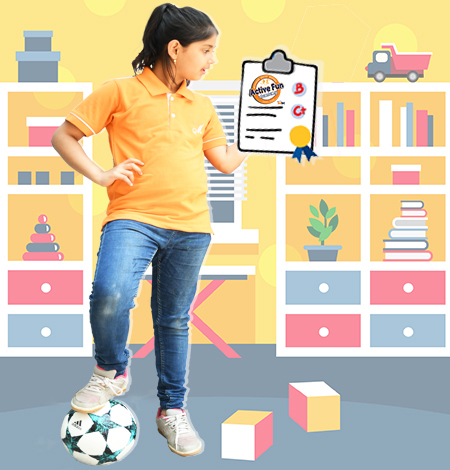 Active Fun Academy provides a School Co-branded Electronic Report Card which highlights various physical skill areas in which the child has excelled as well as those in which he/she has some scope for improvement. 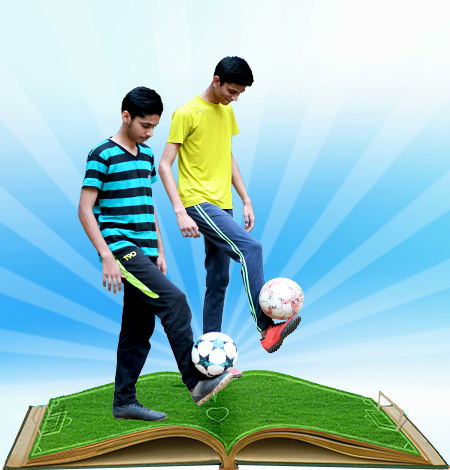 It provides a detailed report on various FunSports activities performed by the child throughout the academic year. ‘FunSports’ are scientifically designed physical activities developed after extensive research by American Universities and Physical Education experts. These activities are designed in the form of fun physical skill challenges which facilitate various movements necessary at various stages of their physical development. If children can participate and have the skills to participate their learning is accelerated and their confidence builds, both in sports and as a person. By exposing them to such skill building games, a child will potentially be exposed to a wide array of movements and a whole range of social experiences. India will become the youngest nation in the world in 2020. If the country has to develop to its full potential in the future, we must inculcate in today’s children the qualities of discipline and hard work to equip and enable them to relentlessly pursue their passions. A school going child spends just about 8 hours in school, including travel to and from home on a normal day in a typical urban town. If we exclude 8 hours of school time and another eight for his sleep and other chores of the day, he is left with 8 hours of free time at home. On Saturdays and Sundays since schools are closed, the kid is home the entire day. What does he do during his free time at home? Most kids spend an hour or two doing homework. The rest of the time they are mostly watching TV or playing video games, doing online streaming or browsing (Screen Time) or simply whiling away time. Kids are thus largely physically inactive while at home. Several studies have shown that a physically inactive child who spends long hours on Screen Time tends to adopt a sedentary life style, leading to lack of focus on anything, including studies. This means an overall unsatisfactory academic performance, preventing the child from reaching his full potential in school. As he grows up and continues with his sedentary lifestyle into youth, he may underperform even in his professional career. Obesity and the onset of lifestyle diseases then follow at a much earlier stage in life. Studies suggest that today’s youth will be the first in the next few generations to live less longer than their parents. 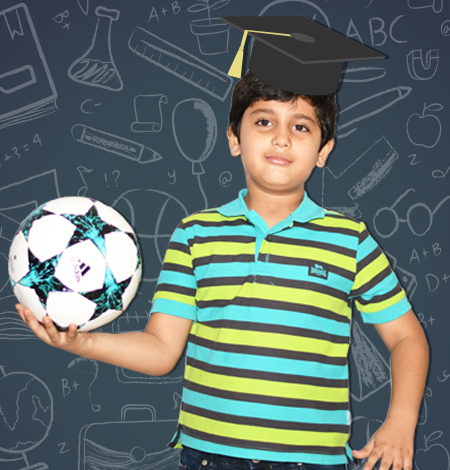 A child who becomes physically active under the aegis of ‘FunSports’, learns to focus, persevere and self-challenge. This has a salutary effect on the child’s general performance and overall personality, leading to physical fitness, academic focus and emotional balance. Accordingly, Active Fun Academy helps to transform an inactive life-style into a physically active one, resulting in healthier and happier future generations that are confident, intellectually strong and professionally successful. We are glad that you have taken the first step towards the holistic growth of your school children with Active Fun Academy. Our experts will connect with you shortly.